Are you a Cape dweller who has fallen in love with the sea? Come celebrate! Rescheduled after last month's snowstorm, Denya LeVine and Julie Charland will perform 18th to 20th century folk songs and sea shanties, (work songs used on square-rigged ships in the Age of Sail; the rhymes coordinated the efforts of many sailors hauling lines.) 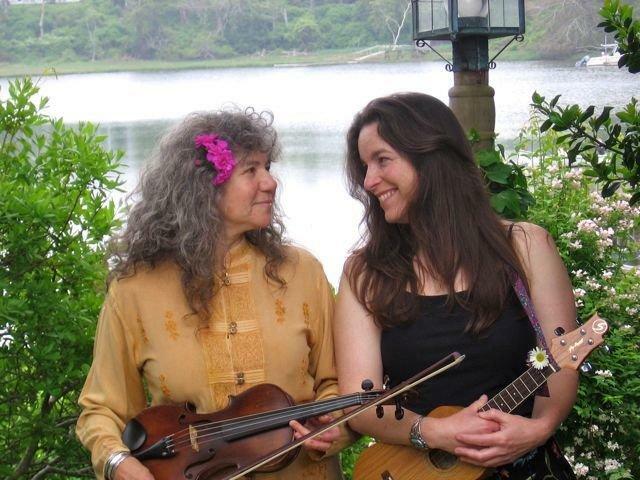 Playing the guitar, fiddle, and ukulele, the ladies will treat our audience to toe-tapping and energetic songs like "Cape Cod Shanty," "Drunken Sailor," "Mary Ann," "By the Sea," "Crawdad," "Down by the Bay," "Swimming Song," and "Sloop John B." The show is free, but the performers will welcome any donations.